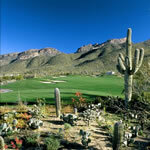 Formerly known as the Raven Golf Club at Sabino Springs, Arizona National Golf Course is one of the finest true desert courses in Southern Arizona. 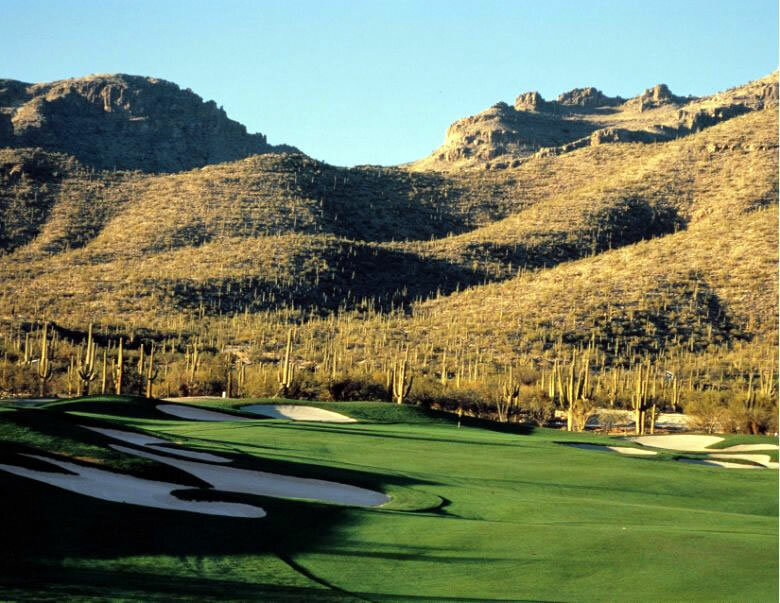 Designed by Robert Trent Jones, Jr. in 1995, this championship golf course will test any level of skill with four sets of tee boxes. 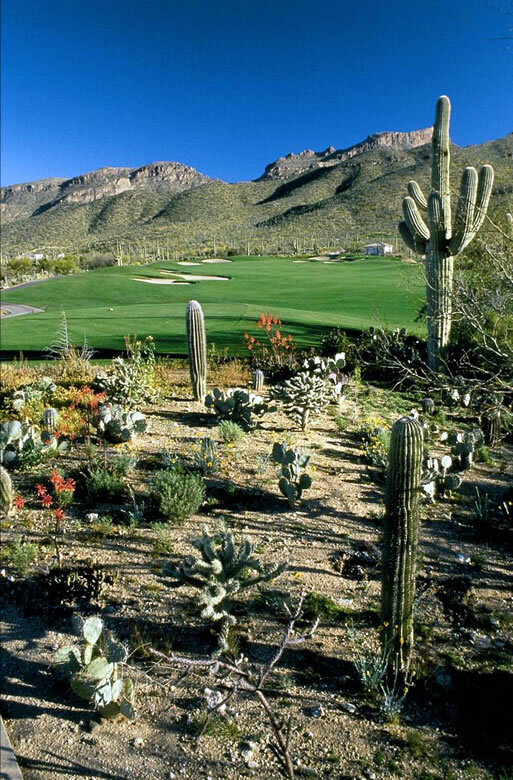 The course sits at the base of the Santa Catalina Mountains and follows the natural contours of the land making it one of the best golf courses in Tucson. 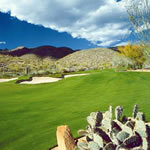 The course sits roughly at 6800 yards and challenges golfers to make tough decisions through the rough desert terrain. 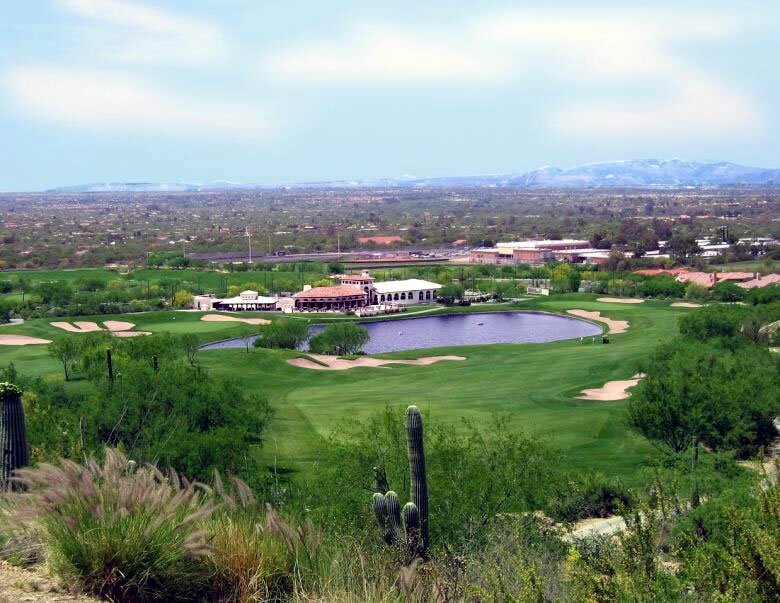 Ranked by Golfweek in 2008 with “Best Courses You Can Play”, this target style golf course was named to the top 15 courses to play in Arizona. 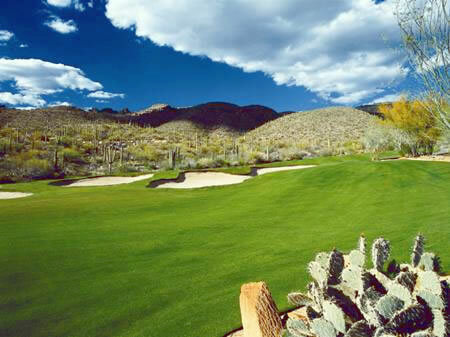 The course features some of the best holes of golf in Tucson, including hole #18. 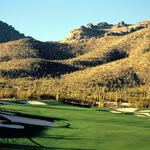 The 18th hole at Arizona National rivals any hole in Tucson as it sits 200 feet above the fairway. 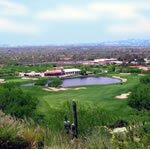 The course also plays host to the University of Arizona Wildcats and opened in 1995.